I am far more active on Goodreads. Feel free to friend me there! The cover of this book is admittedly deceiving. If you're going in for an extensive handbook of medical instruments aided by photographs, you will be very disappointed. What this volume does provide, however, is a sizable range of beautifully illustrated renderings of antique medical tools spanning from the 1500s to the mid-1900s. On top of that, the text is entirely hand-written. 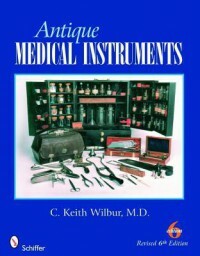 Dr. Wilbur successfully conveys the history and development of many different instruments--from stethoscopes and otoscopes to amputation saws and leech jars--in a succinct and easy-to-understand manner that's never short of fascinating. The only problems I had were the book's short length (150 pages in a centimeter's thickness) and the occasional poor print quality of some of the illustrations borrowed from other medical books. Otherwise this book is well worth reading; it's as much a pain-staking work of art as it is an informative reference guide. Given the generally high marks this book has received (mostly from the contributors and their acquaintances I see), I figured it safe betting that this collection would be an enjoyable read. Toe Tags doesn't feel like it even made it past a quick cursory glance from its proofreader. With stories switching from past to present tense with no reason other than the author's sloppy oversight, to (somewhat baffling) spates of a clear inability to distinguish between "than" and "then", this book is riddled with Grammar and Punctuation 101-level mistakes. I had the strong impression that very few if any of the authors were asked to make revisions beyond their first drafts. Needless to say, it made for a lot of distractions while reading. 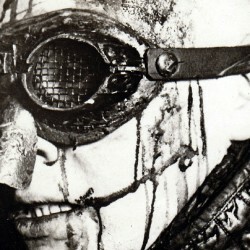 The stories themselves, while for the most part unique at their core, are neither frightening nor very enjoyable. That's not to say there aren't a couple of good stories in the collection. However, there seems to be both a lack of story development and general writing style from the large majority of these tales, and the overall work suffers for it. I often found myself bored as I read through this book, which to my mind read like a high school writing project slung together by a band of friends rather than an anthology of new and talented horror authors. On more than one occasion I wondered how a good chunk of these poorly written and cliche-abused stories were approved for publication at all. 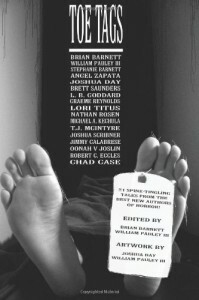 I had higher expectations, and Toe Tags is definitely not one of the best horror anthologies out there. Having a warm fondness for all things putrid, dead and mobile, I was more than happy to rescue this book off the bargain shelf at the store. 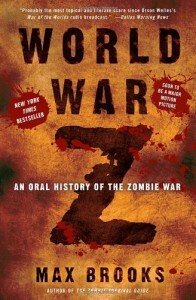 While a compilation of interviews--even based on something like a massive zombie world war--may not be the most inherently exciting topic, I was still curious to see how a book written at such a new angle would play out. The novel started out interesting enough, but it didn't take long for me to realize that every fictional interviewee in this book may as well have been the exact same person. Naturally, I understand the desire an author may have for writing something in an intelligent and readable way, but Brooks lent almost zero variation to his characters' voices. Not only that, but the detailed accounts quickly grew stagnant and redundant. Toward the middle of the novel I found myself skimming through it faster and faster with less and less interest, if only to prove to myself that I could actually make it to the end. I made it most of the way, but it felt like a chore. To sum up, reading this novel wound up to be about as exciting as reading a government procedures manual.